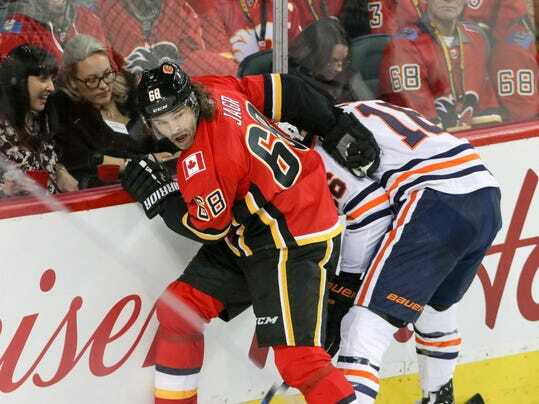 CALGARY, Alberta (AP) — After taking a big lead early in the third period, Edmonton had to hold off a furious rally by the Calgary Flames. Patrick Maroon scored to give the Oilers a five-goal advantage in the opening minutes of the final period, and they held on to beat the Flames 7-5 on Saturday night. Jesse Puljujarvi had two goals in the first period, and Jujhar Khaira, Mark Letestu, Milan Lucic and Ryan Nugent-Hopkins also scored for Edmonton, which led 6-1 after Maroon’s goal 1:29 into the third. Sam Bennett scored twice, and Micheal Ferland and Johnny Gaudreau once each to pull the Flames to 6-5 with 7:40 remaining. Special Report: German Grand Prix: Team Orders or No Team Orders?